Posted by Trimm on September 29, 2015 . . So you have a project that requires 70 amps, or maybe 80 or 100. And maybe you’d like to simplify. Maybe cut down on the cable costs, or the installation process, or even the space requirements. Well what if you could, and what if you could do it while also saving money? We think you can. 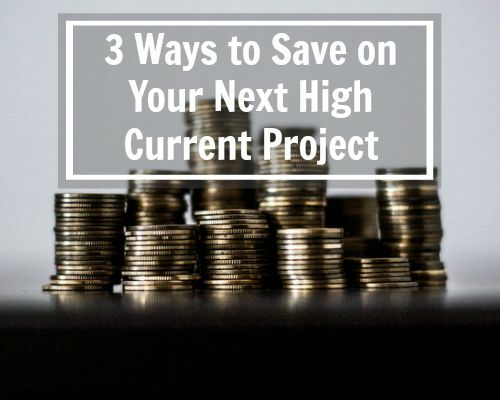 Below are 3 ways we believe using a mini-BDFB will help with your next high current project. 1. A mini-BDFB can eliminate the need for excessive cable. If the mini-BDFB that you're using will fit in a rack beside the equipment it is powering, that will cut down on the amount of cable needed. 2. If the mini-BDFB did not reside next to the equipment, that may also make the space design (or in some cases, re-design) much simpler. Sometimes it's easier to find an extra 3U or 5U rack space than it is to coordinate inserting an entirely new rack somewhere close to the equipment or again, running cable along the perimeter of the room. 3. A mini-BDFB could save up to 50% on the overall project, considering that a mini-BDFB is a fraction of the cost of a regular BDFB, and that using one requires fewer resources. Reduced installation time may also come as a result of a simpler space arrangement and less cabling to manage. Although there are lots of solutions to choose from when looking at simplifying your high current project, one that we’re slightly partial to is our Versatile Panel. It comes in two sizes, 3RU and 5RU and can power equipment up to 850 amps per bus. To see the specs, view our options here.